Indian Red Cross Society, Odisha State Branch celebrated the World Red Cross Day to commemorate of the great philanthropist Sir Jean Henry Dunant, the founding father of the Red Cross. This year the Theme of World Red Cross Day was “Everywhere for Everyone”. On this occasion, the State Level Function was organised at 10 a.m. in Orissa University of Agriculture Technology, Bhubaneswar. Dr. S.C. Jamir, His Excellency, Governor of Odisha and President IRCS-OSB presided over the function as Chief Guest, accompanied with the Hon’ble First Lady, Odisha Mrs. Almela Jamir. In his address he said that Red Cross plays big role in the life saving events as well as assisting the vulnerable people and wishes Red Cross will work more closely with the people in the years to come to keep Odisha safe and to mitigate those emergencies that may occur in future by mobilizing the power of humanity. Hon’ble Minister Health & Family Welfare and Chairman Working Committee of IRCS-OSB Sj. Pratap Kumar Jena joined as Guest of Honour. He expressed that humanitarian activities of Red Cross are praiseworthy. He added that Red Cross is always present everywhere, serving the vulnerable people at the time of need. 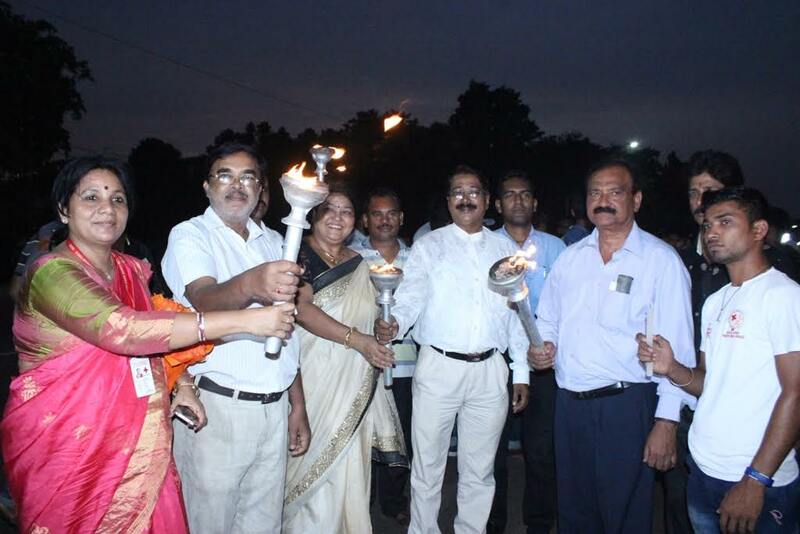 Lady Vice President of IRCS-OSB Prof. Asha Hans joined as Guest of Honour and appreciated the multifarious philanthropic activities of Red Cross Odisha State Branch. Honorary Secretary, IRCS-OSB Dr. Gyanabrata Mohanty, welcome the Guests and the programme was coordinated and vote of thanks offered by Maj. Dr. Kalpana Das, Youth Red Cross Officer. On this occasion, awards and certificates were given to the Best Student of “SAHAYA”. As well as Aids and Appliances were also distributed to 10 Specially Abled Persons for their livelihood support. The State level awards were given to the highest fund raising District Red Cross Branch to Samalbur, Mayurbhanj and City Red Cross Branch, Rourkela respectively and the best performing JRC activity district, best performing Youth Red Cross units in colleges and trophies were also presented to the best performing JRC & YRC Counsellors and YRC volunteers by the Chief Guest. The meeting was followed by cultural programmes performed by Volunteers of Red Cross. A Photo Exhibition based on various activities of IRCS-OSB was displayed and Blood Donation camp was organized at OUAT, Bhubaneswar in which 25 units of blood were collected.. Besides, cleaning programmes were oragnised at Biseswar Basti and Bayaba Basti and a cold drinking water point was inaugurated at Red Cross Bhavan for the general public. Other than this a masal rally on the eve of World Red Cross Day was organized in front of Red Cross Bhavan.